Viknesh Vijayenthiran September 20, 2018 Comment Now! Porsche is close to revealing a new generation of its 911, the 992 series, and today we have our first look at one of the racing variants. 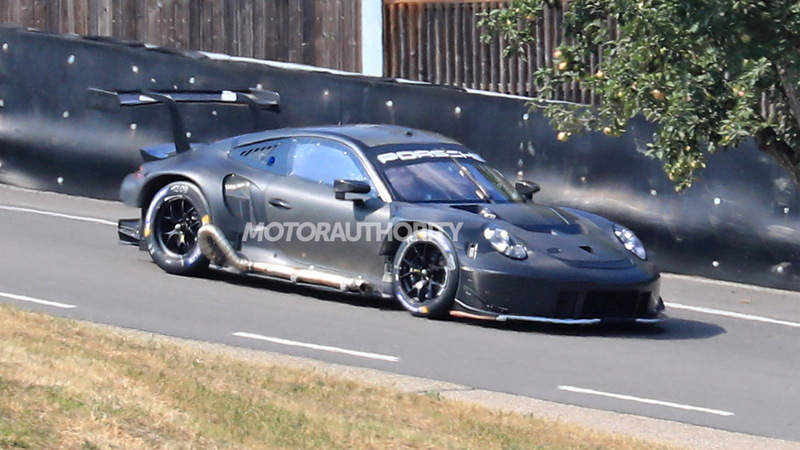 It was spotted lapping the automaker's Weissach test track located near Stuttgart, Germany. 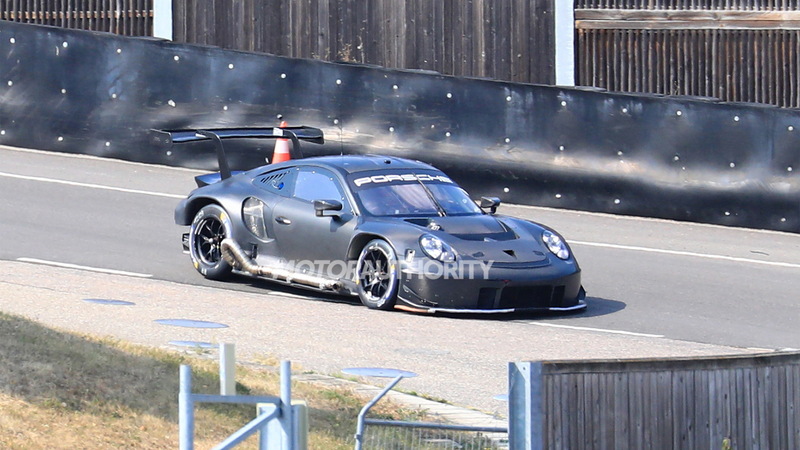 The prototype is for the new 911 RSR which we expect to be ready during the 2019 motorsport season. This is the car that will likely compete in the GTE class of the 2019/2020 season of the World Endurance Championship, whose first round is scheduled for September 2019 and final round, the 24 Hours of Le Mans, scheduled for June 2020. The car should also compete in the WeatherTech SportsCar Championship, though likely not until the 2020 season. 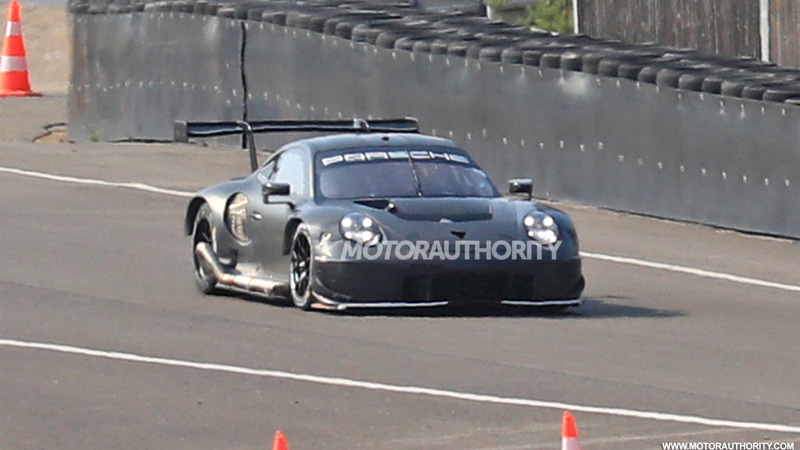 Compared to the current 911 RSR (shown above), which we'll remind you won its class at Le Mans this year, the new one looks to feature wider intakes at the front and the hood sports a new vent design. 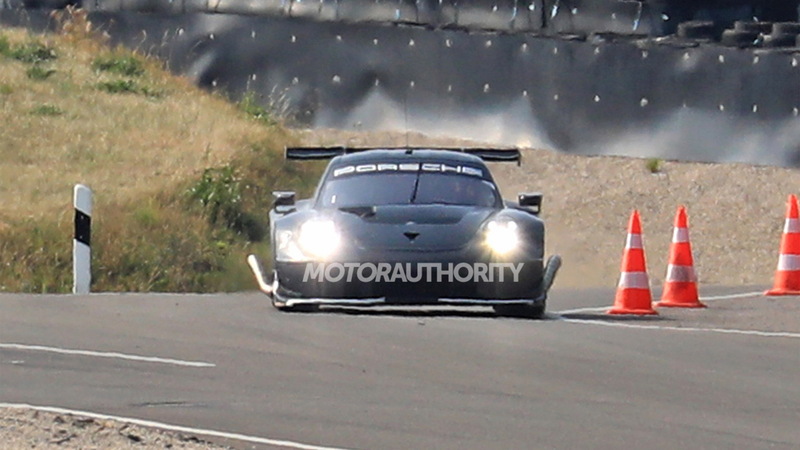 We can also see that the exhaust tips have been moved from the rear to the sides of the car and the rear fenders appear to be stretched for a more streamlined design. 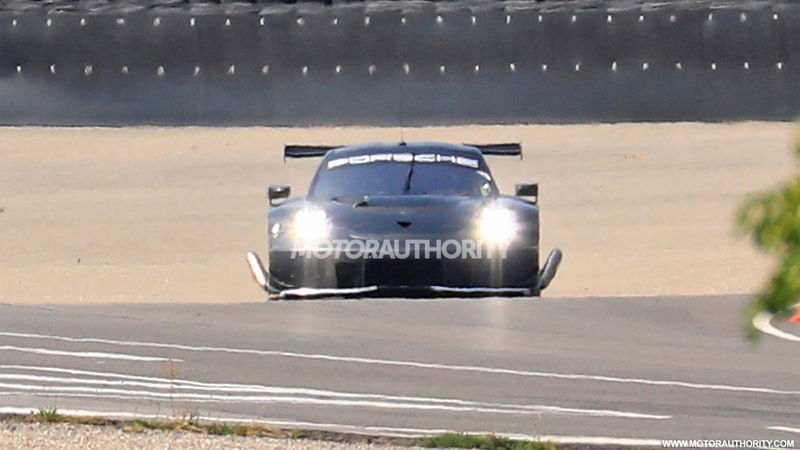 Porsche in 2017 finally ditched the 911's signature rear-engine mounting on the RSR in favor of a mid-engine layout, and the same is likely true for the new generation. This time, though, we could see Porsche move to a turbocharged version of the 4.0-liter flat-6 in the current RSR, since most rivals also run turbos. Drive should be to the rear wheels via a six-speed sequential transmission. While the new 992 series 911 road car is due out later this year, the new 911 RSR should make its appearance some time in the first half of 2019. Also in the works should be new generations of the 911 GT3 Cup and 911 GT3 R race cars.